Been injured in a road traffic accident? Had an accident at work? If you’ve suffered any kind of personal injury that wasn’t your fault then you could be eligible to take out a compensation claim. Our Macclesfield personal injury solicitors are experienced in handling the full range of personal injury claims and can make sure that you get the compensation that you deserve. Using a personal injury solicitor in Macclesfield ensures that you’ve got a local contact for your claim who can give you the time that you deserve to ensure that youcam is handled in the best way possible and you are compensated appropriately for your loss. This means that there is a lot at state which is why your accident claim or injury claim should be handled by professionals such as our Macclesfield personal injury solicitors. They will help you to put forward a strong case that will help you claim the compensation that you deserve. We’ve handled hundreds of claims for people in the Macclesfield and wider area and you can place your complete trust in us. What Are The Most Common Types of Personal Injury Claim? Road Traffic Accidents (RTAs) – About half of all personal injury claims in the UK are claims made in respect of road traffic accidents. This could be a car, bike or on foot, collisions and crashes can happen and you can be injured when it wasn’t your fault. If this is the case, you may be entitled to claim for compensation. Accidents at Work – Accidents at work are common and your employer has a duty of care to protect you and if they have been negligent, there may be eligibility for a claim. Don’t assume that to have an accident at work means you have to be on a construction site or in a factory. Many accidents at work happen in other premises too such as offices. Accidents on Public Property or Business Premises – This can includes trips, slips and falls in the street or in public places such as a shop. Depending upon the exact circumstances, you may be eligible to claim for compensation especially if the shop or council or example have not done everything they should to ensure their shop or street is hazard free. Once our specialist personal injury solicitors have thoroughly assessed your case and taken it on then so begins the claim procedure. The details of your injuries, medical opinions and details of all the treatment that you have received. We will then send a claim letter to the person/people that you are holding responsible for the accident or injury.This spells out what the injury was and what happened. If they accept liability, the matter may well be settled out of court and your solicitor will negotiate a fair settlement for your claim. Throughout all of these stages, you can rest assured that your solicitor will work with you to explain what is happening and explain everything fully so you understand all of your options. How Much Compensation Will You Receive For Your Injury? Whilst all cases are different and it is not possible to put an exact amount on how much you will receive as part of a settlement, our solicitors can give you a reasonably good idea. This is because our solicitors have been dealing with personal injury cases in Macclesfield and the surrounding Cheshire areas for many years and are at the cutting edge of legal knowledge and opinion on these matters. How Long Will I Have to Wait for My Compensation? Personal injury compensation cases can take some time to settle, this is because it can take time for evidence to be gathered and other such issues. 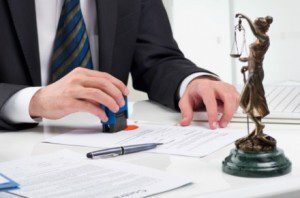 However what we can say is that when dealing with your case we always act in an expedient manner and we will ensure that your case is dealt with in as timely manner as possible. That means we will work tirelessly to ensure that claim is settled in full as soon as possible to your total satisfaction. Why Should I Use a Local Personal Injury Compensation Service That Covers Macclesfield? You have a wide variety of choices when looking for someone to look after your personal injury claim. Using a local Macclesfield personal injury service however has a number of benefits, the first being that they are local! Unlike many of the big city, national law firms, you’ll get an experienced solicitor who is prepared to listen you you, your concerns and needs. Please remember when claiming through a personal injury solicitors in Macclesfield we highly recommend that you read their terms and conditions.